Revive Bath & Body: It's November?! I hope everyone had a great Halloween! Ben and I dressed up as Mario and Princess Peach. Winter: a hot cup of coffee, sweatshirts and pajama pants, fires, and the best thing of all, long, hot baths. 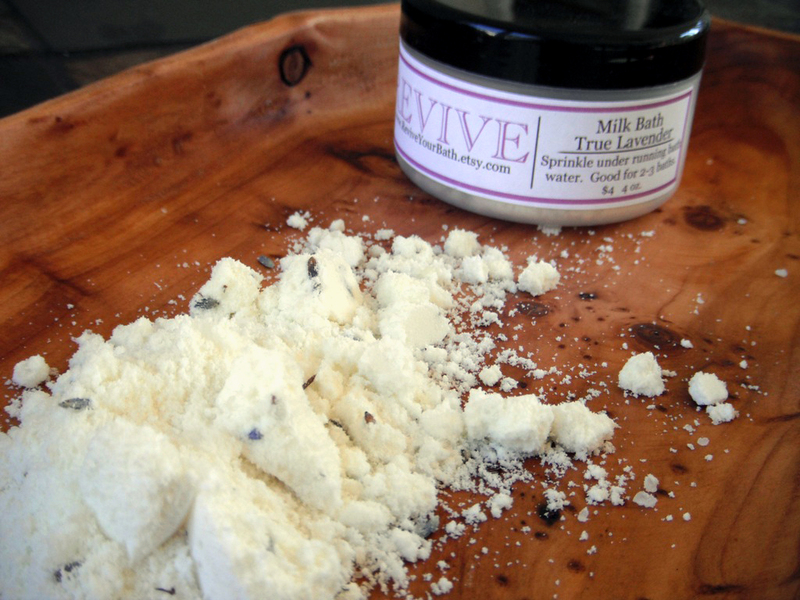 And a hot bath means using Revive's True Lavender Milk Bath Powder. Lavender is a serious scent with some serious healing properties. Not only does it provide you with a calming sensation, it also has restoring and soothing properties. And let me tell ya, it really works! Milk baths have been used for centuries by women hoping to improve the look and feel of their skin. Part of the reason milk works wonders for skin is because it contains different kinds of acids. The alpha lactic acid contained in milk acts as a gentle cleanser for the skin. Another naturally occurring acid in milk is a beta hydroxy acid which acts as an excellent skin exfoliant. Exfoliation is extremely important when it comes to skin care. Removing the old skin cells makes way for the newer, more vibrant skin underneath to shine through. So take a break from all of that holiday stress and take a bath! As for college, I officially am done with one of the college classes. I ended up getting a 93 in my Anthropology class. It was only a two hour credit class, which means it ends earlier than the average three hours class. So waaahooooo! KSU offers many different kinds of workout classes in the Wellness Center. One of my friends and I have been going to this class called PIYO. It's supposed to be a combination of Pilates and Yoga. Talk about a good workout! My political science class is about to start. I'm sure we will have tons to talk about since we have not had class since the election! Remember to subscribe by email on the upper right hand side of the screen! Just had a nice, long soak in my lavender milk bath - aaaahhhhhh! It was so nice. I have never tried a milk bath before, but now I'm hooked. I have very dry skin, but the milk bath seems better for my skin than bath oil - it moisturized and exfoliated not to mention made me and my whole bathroom smell amazing! I am definitely a fan. Lavender anything is wonderful and especially a lavender bath! The wind is whipping here in New England, a lavender milk bath sounds so comforting! how cute is the Mario costume!! so fun!